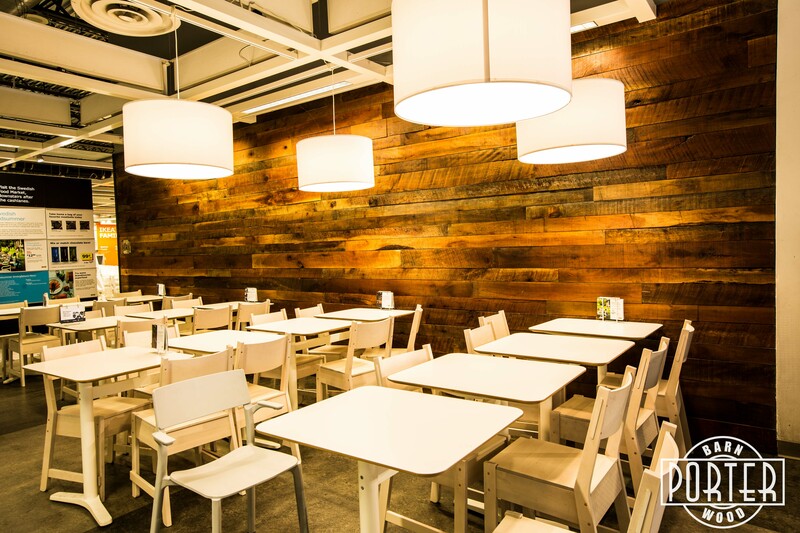 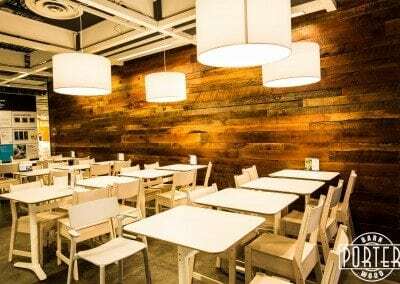 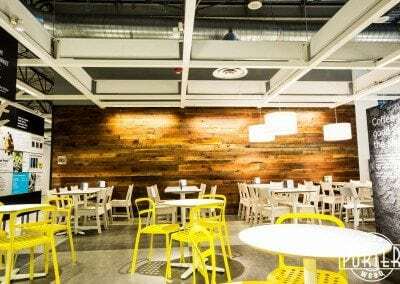 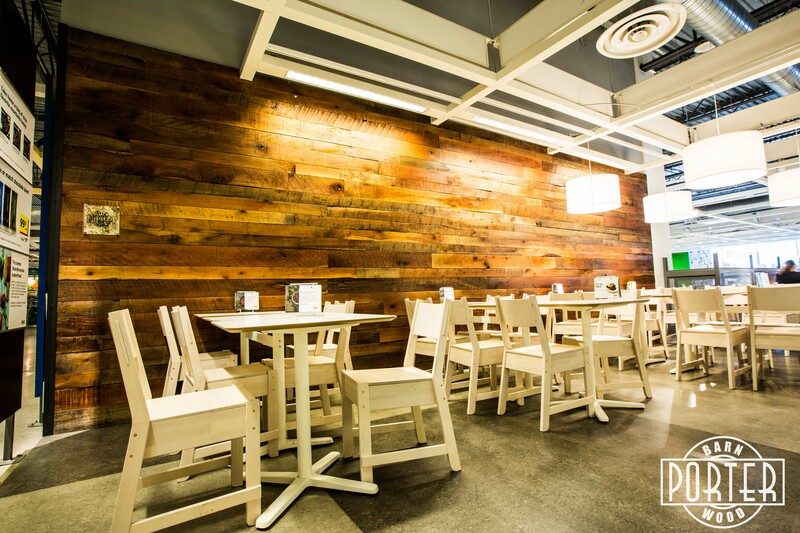 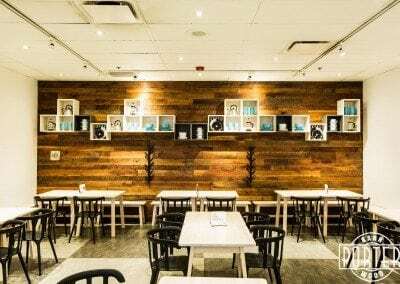 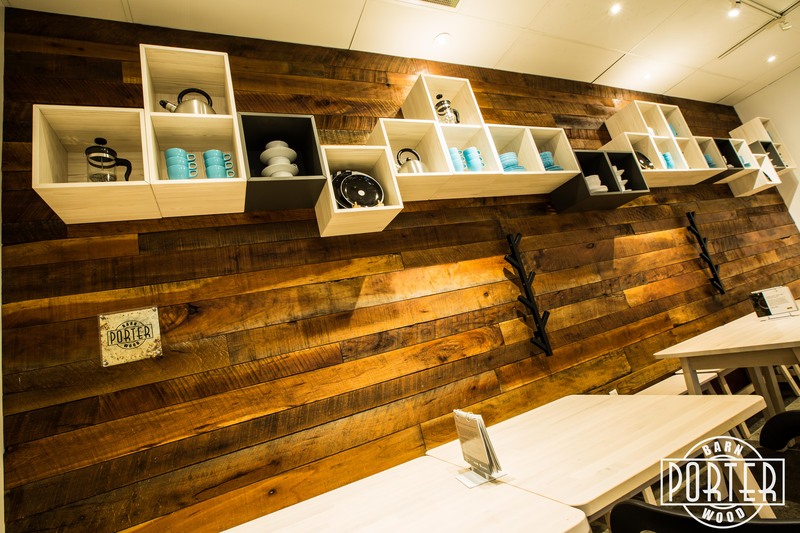 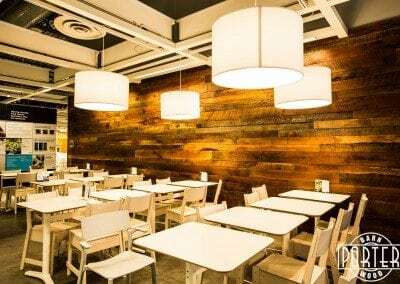 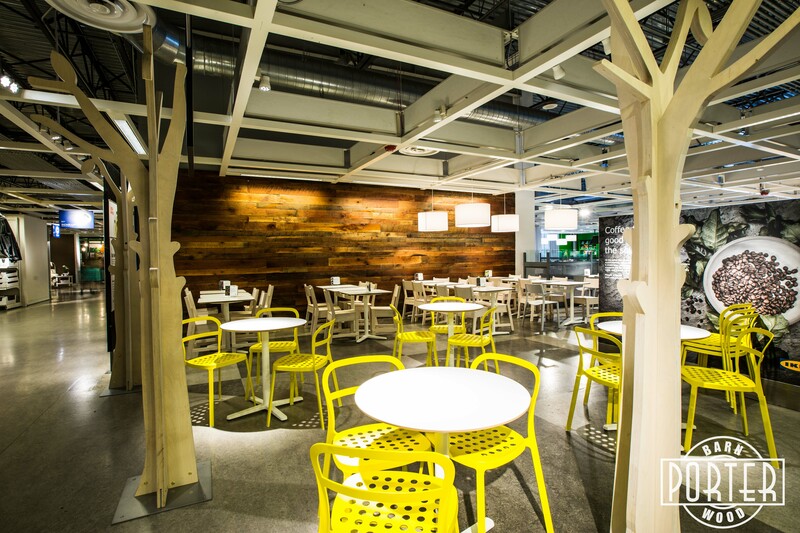 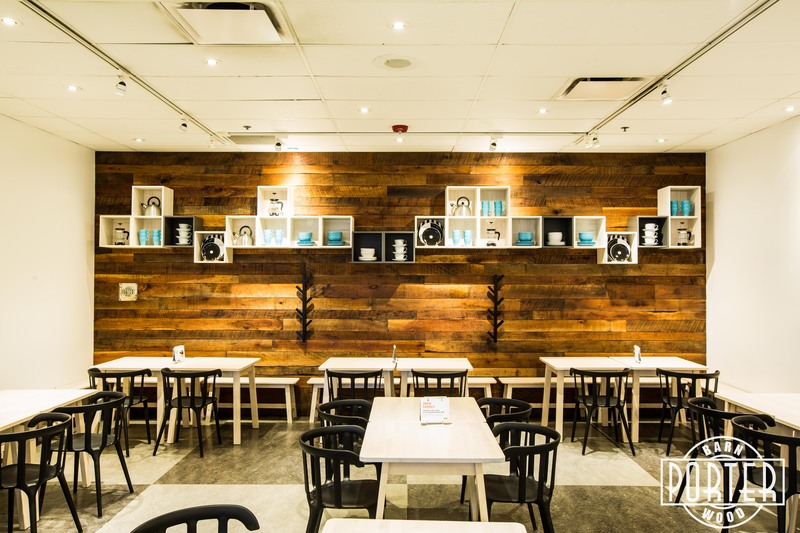 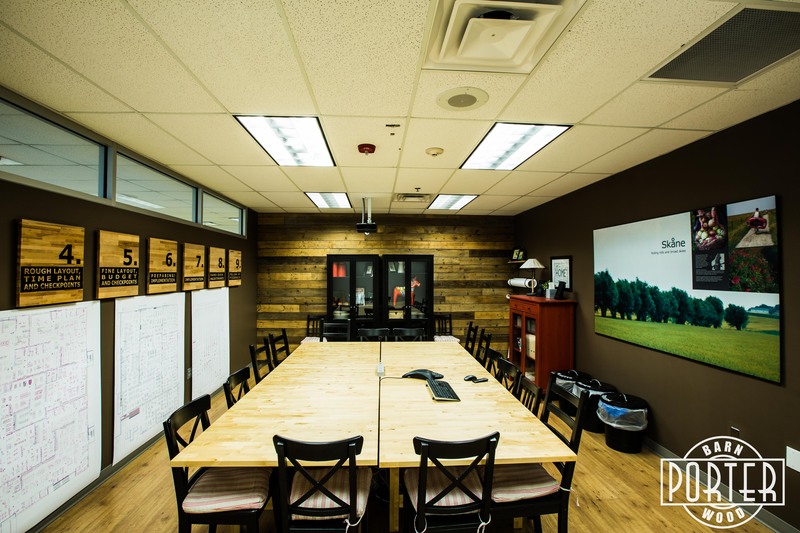 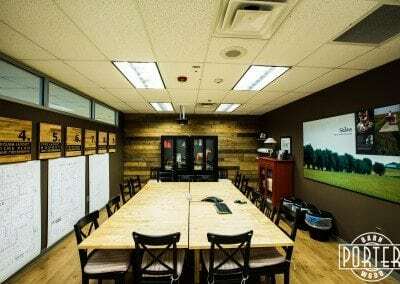 We teamed up with IKEA in Tempe to do their restaurant and conference room. 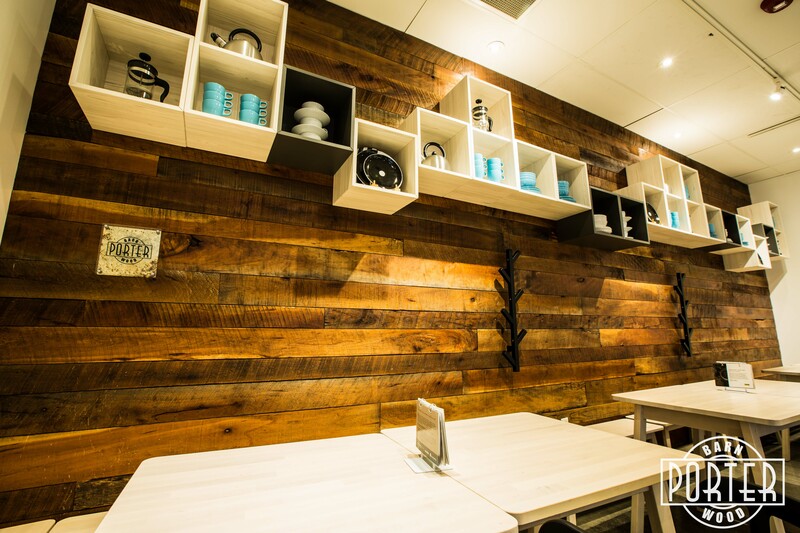 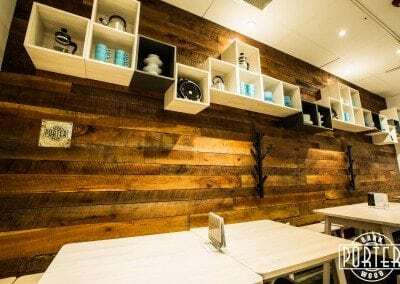 The materials in the restaurant are the cherry rough sawn materials that we resawed down to 1/2″ thick. 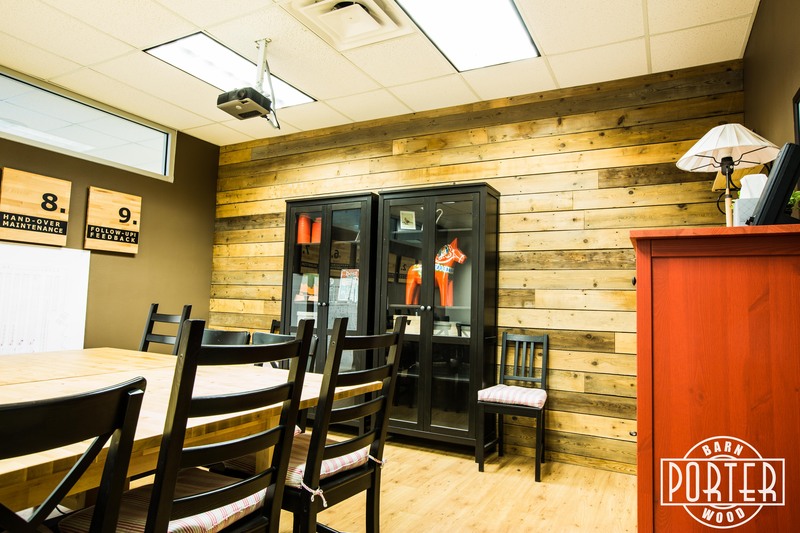 We sanded it down slightly and put a flat lacquer finish on it to bring out the color. 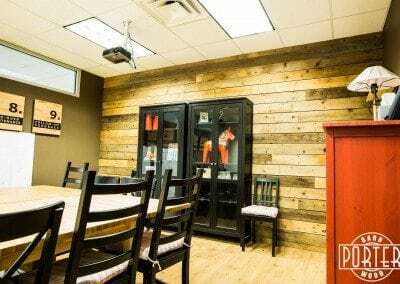 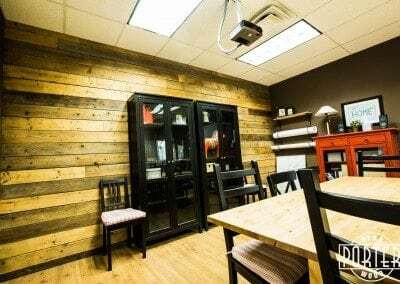 In the conference room we used a reclaimed pine brown board that we had pulled from some Iowa barns. We sanded it down and put a nice multi-tone finish on it as well.